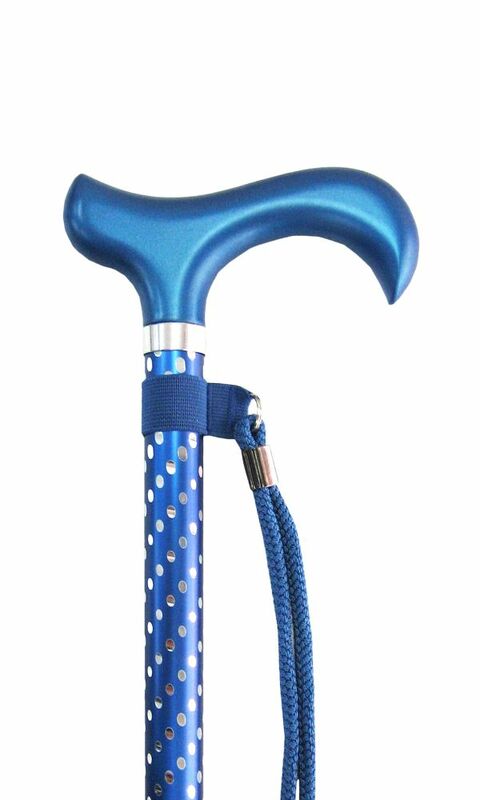 Elegant engraved adjustable walking stick. Adds that little bit of sparkle to any outfit. Top section only engraved. Light and extremely strong aluminium stick with metallic blue wood derby handle, matching wrist cord and silver collar. Adjustable sticks are securely fixed at the desired length by a simple toggle and screw lock. Rubber ferrule included. Adjustable in height from 28.5" to 37.5" (72cm to 95cm).